1 Corinthians 1-6 is applicable to disputes between believers. My understanding is that Tanya Levin has renounced the Christian faith (ie she is an unbeliever), therefore this particular biblical passage is inapplicable. God institutes secular authorities to help maintain peace & order. Everyone knows now that there is a clear expectation for churches to report crimes such as child sexual abuse to secular authorities. Therefore it’s also reasonable for church leaders to involve the police to maintain boundaries against destructive influences. (I haven’t read Tanya Levin’s book, however I trust that Hillsong leadership continues to prayerfully weigh up, & constructively respond to, any truth in the criticisms she’d raised). Definitely there are limits to what churches should have to withstand in terms of very real dangers that may present, and some as you mentioned that they are required to report on a mandatory basis. I genuinely wonder how such decisions are made, and am thinking about the mulitple issues that people would present with. I wouldn’t like to be the one making the decisions either… that’s for sure. What’s going on here? Is that a guardian angel? More likely a thug sent from HS because Tanya Levin didn’t “have the guts” to meet in a dark alley (or rather she had the sense not to). Interesting this site seems to prefer the opinion of athiests … I heard the i/v with Mark Driscoll at HS conf (pre-recorded in the US) & had no problem with it. (Didn’t hear anyone else at HSC upset either, probably as there was so much other good teaching, etc, to focus on). Brian Houston was confronting, but also understanding & graceful towards MD. MD admitted to bullying behaviour, very course words & controversial ideas re women in ministry. MD seemed remorseful & repentant, but don’t worry, I doubt any church will be rushing to employ him soon. (I do admire MD’s lovely wife Grace, loyally supporting him through a very painful period of growth). I personally prefer a church which (like Jesus) leans towards love, truth, healing, repentance & grace, than pandering to the demands of external critics who adhere to the letter of the law. RE atheists’ opinions being presented as evidence: if they’re telling the *truth* why shouldn’t their opinion be treated as seriously as a Christian’s? An atheist is not “the enemy” of the Christian, the atheism worldview/ belief system is. We were all atheists (“no God/s” atheist/ other God/s religion) before we came to know Jesus Christ remember? Aren’t you glad that we weren’t written off as “the enemy” by the Christian/s who witnessed to us? Your last sentence is revealing. Truth is not listed amongst Hillsong’s (alleged) virtues and you dismiss critics as being outsiders. *If* there are no critics within Hillsong- if it isn’t already a mindless “yes men” team that is through God’s mercy only. Thanks. I continue to wonder why people who call themselves Christians are afraid of taking their position out into the world when that was the point. Being an atheist doesn’t always mean being anti theist, but it can do when the influence of that theism is destructive. This comment proves you have not even come close to reading many articles on our site at all. So browse our archuves before offering another uninformed opinion. Considering that it is NONBELIEVERS that Hillsong are trying to reach, why is Houston attempting to arrest and shun the voices of nonbelievers in an attempt to save them through the means of “being relevant”? Non-believing voices are valid if they are sniffing that Hillsong does not represent Christianity. And those that have left (likr Tanya) are right. Considering that Christian ministers, pastors and leaders have CONDEMNED Hillsong for peddling false gospels and New Age teachings, these non-believers are right. Just that, you’d think that Hillsong leadership would actually listen to the customer and return to Christian teaching… right? We will publish the transcript soon. We hope you rethink what was said. There were lots of problems with it, even the way it was presented. Brian Howard is confronting? He has been publicly disgraced as a coward again and again. He can’t even sit in the presence of a critic. And if they are a female critic, he either runs from them or threatens to hit them. (See our article on the Royal Commission.) Try bringing up the topic of homosexuality and other people’s religions and he turns into a giant New Age pansy. Liars are good at putting on shows. Your point? We are dealing with both an unrepentant Ananias & Sapphira who only support eachother in wicked works. If Grace wants to support her husband, she needs to lead him back to the Mars Hill elders and allow them to help them both clean up his massive mess. That’s the Christian thing to do. But as Ps Saiko Woods tells his audiences, “liars run”. There is too much at stake if these two went back to humbly right their wrongs. Instead, the Driscoll’s have run from their mess, using God as their excuse not to return. And that is proof that they are unrepentant and need to step down, for good. That would be a Christian Church that focuses on Jesus. Not a Hillsong Church. You don’t seem to have a remote clue what the love of Jesus looks like and seem to have a poor understanding of truth, healing. repentance & grace. So you are a nonbeliever? Because it doesn’t sound like your idea of “love, truth, healing, repentance & grace” come even come close to Christ’s definitions. To the secular- yes. But not Christ’s. The “letter of the Law” that you say Christians are asking Driscoll to follow are JESUS’ own teachings. The problem with people like you T&L is that you prostrate yourself before sinful man and twist Jesus’ words according to the ways of man. At the end of the day, the victims behind the Mars Hills bus grow because it is apostates like you that tell everyone to sing ‘kumbayah!’ and move on without dealing with the wicked, festering mess that you call “Christian leadership”. These men show no compassion towards their victims nor God and His Word, and are only thinking of themselves. Stop being the problem, repent, read your bible, and contend for the faith, not these frauds. Your anger is towards others pushing Tanya away, you say. How are YOU leading her to Jesus? I’m not denigrating the opinions of atheists (if there is truth in what they say) & yes I was one myself. However, atheists are more likely to be unwittingly influenced by the “dark powers of this world & … the spiritual forces of evil in the heavenly realms” (Eph 6: 12-14), veering us away from God’s truth, grace & love … Don’t fret, there are spiritually healthy Christians in Hillsong church praying for their leaders, for ever increasing wisdom, maturity & accurate teaching. When necessary, perhaps prompted by the Holy Spirit, they humbly approach / write to leaders re issues of concern. (Rather than make a public spectacle which can be damaging, destructive & discouraging for all). *Who misled the media – the atheist, other outsider/s (whether Christian or not) or the church leader? *Is that atheist now closer or further away from God thanks to Houston’s intentional misuse of the truth via a technicality (live interview replaced by recorded one)? * How is the unbelieving world going to respond to seeing a church leader deceiving other people then trying to convince his followers that the media/ critics are the liars- even (when all else fails) resorting to playing “spot-the-Pharisees” since apparently it works every time on Hillsongees? Tanya, maybe you could get a real job? 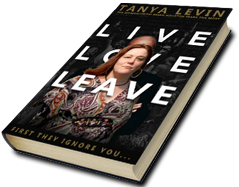 @ Really – well, Tanya Levin says she’s a social worker AND an author. She writes books, Brian Houston writes books. Maybe by your standards Brian needs to get a job too? He clearly doesn’t live up to the biblical requirements of a pastor. Why don’t you give your credentials, so we can see how qualified you are to judge Tanya? 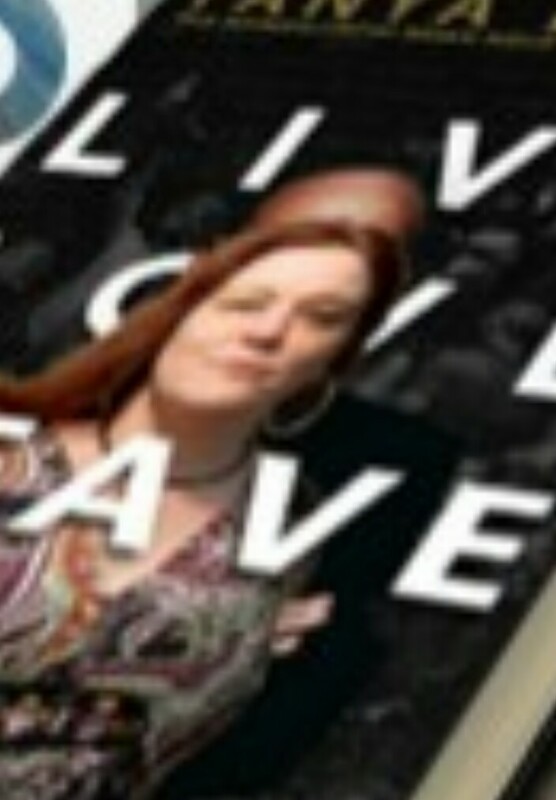 Hey CW, what happened in court today re Tanya Levin’s trespass charges??? And apparently Channel 9 made an appearance. I went to her Facebook but couldn’t see any updates. Do you have a link??? First, you go into this room where you’re not allowed to be on Facebook. That’s why my updates have been so brief. Proceedings began about 11 am, and the prosecution began their case. Morning tea was 1130-1150. The prosecution continued. Lunch was 1-2. The prosecution continued and finished just before 4, when they finished. The matter will continue on 18 November. Due to this matter being carried over, it’s best I keep my giant cakehole shut for a while longer, even though there’s lots more to share. And also because some of your comments from my post where I uploaded Hillsong’s ‘refrain’ letter were attempted to be admitted as evidence today. Be careful what you write on social media, people, You may end up as part of Exhibit 3. Thank you so much to everyone for your messages and encouraging words. They really do mean the whole world to me, because I wish I wish I wish I could tell you the things that people write to me about, but I can’t because I won’t without permission. But your support for me is actually for the young people, the vulnerable, and all the others who are fodder for exploitation. I wish I could tell you the haunting things I’ve been told by victims of Hillsong,(and I will call them victims because they have been victimised on a rainbow of levels) since I was arrested. But it’s cakehole shutting time. Rather I am #grateful that my 1996 Volvo didn’t repeat the episode from Tuesday at downstairs in the (new) Wollongong mall carpark where it refused to move for ten minutes at the exit ticket gate. This same Volvo has a cassette player, and I am now so much more familiar with Yoko Ono’s singing than anyone currently living should be. Tapes are hard to come by. Times get desperate, though. Beggars, choosers, all that. So I have had Kick by INXS pretty much going constantly as it is the best out of my tiny selection. So here is your theme song for today. This week? Sometimes you kick. Sometimes you get kicked.